January 28, 2017 – Super Bowl week is here, and it will be between the Atlanta Falcons and the New England Patriots. 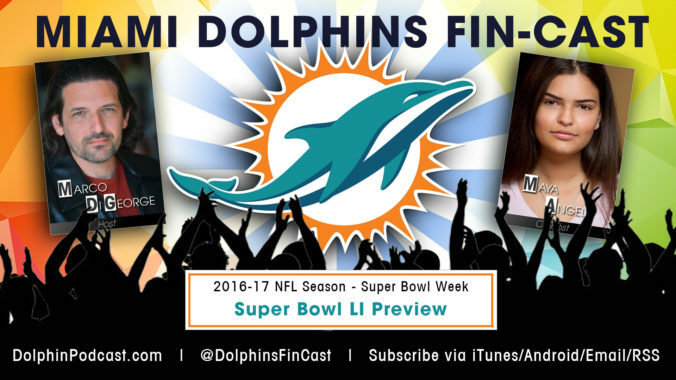 In this episode, we take a look at the latest Dolphins news, as well as Around the NFL, as we recap the games from the Conference Championships, and preview Super Bowl LI in our final Picks of the Week segment. GO FALCONS!